The Chacabuco Valley, which Doug and Kristine Tomkins hope will soon be a part of Patagonia National Park. Down in Patagonia, along the Chile-Argentina border, a new national park is taking shape thanks to the efforts of Kristine and Doug Tomkins. The two industry legends—Kristine is a founder and former CEO of Patagonia and Doug started The North Face—have, over the past 20 years, acquired more than 2.2 million acres of Patagonia's grasslands, forests, wetlands, rivers and high alpine lands with the goal of conserving and rehabilitating the rich, biologically diverse territory. Since 2003, the center of those plans has been the establishment of Patagonia National Park, a 650,000-acre tract that encompasses Jeinimeni and Tanamango National Reserves, as well as 200,000 acres of former sheep and cattle ranching land that they currently own under the guise of NGO Conservacion Patagonica. This is the third park the Tomkinses have spearheaded. Starting in the early 1990s, Doug started amassing land in concert with the Conservation Land Trust, which in 2005 became Chile's 700,000-acre Pumalín Park. In 2000, Krsitine founded Conservacion Patagonica, which in 2002 established the 155,000-acre Monte Leon National Park, Argentina’s first coastal continental national park. Now their attention is on the Chacabuco Valley (see map above), the centerpiece of the soon-to-be Patagonia National Park, where a team of local and international volunteers is blazing trails and setting up biodiversity programs in advance of the park’s opening. The group has already removed more than 400 miles of fencing once used for raching and has completed the 16-mile Lagunas Atlas Loop trail, which links to a campground. There are a few other projects still under development, including a trail along the western bank of the Baker River, which Conservacion Patagonica hopes will help build opposition to a major hydroelectric proposal that threatens this section of the river. The NGO is hiring locals to further conservation efforts in the park, including former puma trackers who will work with biologists to support and grow the native puma population. Staff will also work to track and study the endangered huemul deer that live inside the park, as well as to root out invasive plants and reintroduce native plant species. While the project continues, the park is already open to visitors for camping. The current projects are scheduled to finish in early 2015 and will be followed by a proper grand opening. 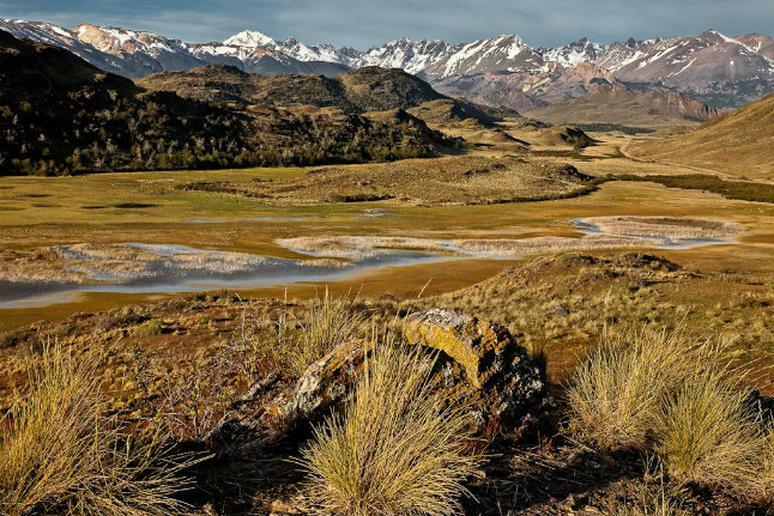 The Tompkins' ultimate goal is to donate the land to the Chilean government for establishment as a national park, though negotiations are still ongoing. In the meantime, it's exciting to see how a couple of passionate, well-connected people can galvanize an effective conservation movement in one of the world's ecological treasures.